Our sponsors and supporters make FEAT events possible and they help to get word out about this wonderful event. They also support adventurers and offer a range of products that are used across many disciplines whether for recreation, sport or adventuring. Distributed in South Africa by RAM Mountaineering, Black Diamond’s products are all about climbing and skiing. With ropes, slings, helmets and carabineers to headlamps and trekking poles, their products are not just for climbers. They cross over into a range of outdoor sports from adventure racing to trail running, hiking and kayaking. 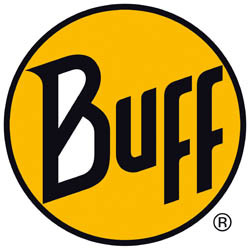 Distributed in South Africa by Adventure Inc., BUFF is the essential multifunctional headwear item for every adventure. For hot weather or the bone-chilling cold, there’s a BUFF product for every season and sport. We even have a custom-designed FEAT Headband Buff, which is available for purchase with your FEAT ticket or on the night. Outdoor Tech has partnered with FEAT Kids to showcase their colourful, stylish and innovative products to the tech-savvy young adults. Through their wireless audio and portable power products, Outdoor Tech aims to blend a modern lifestyle in the age of mobile technology with the drive to be outdoors. Outdoor Tech is distributed in South Africa by Wintec Solutions. Distributed by Wintec Solutions in South Africa, Powertraveller is a global leader in the design, development and manufacture of an award-winning range of portable power and solar chargers for electronic devices. Powertraveller is all about energy generation. When your batteries run out or you find yourself way off-grid, Powertraveller gives your devices the power to keep on going.